BAIT is coming to Comic-Con International 2013 with an onslaught of exclusive releases, so be sure you stop by our booths before it’s too late! We’ll be at SDCC – which takes place at the San Diego Convention Center from July 18 until July 21, with a special Preview Night on July 17 – with eight exclusive collectibles from high-profile artists and popular franchises. The BAIT booths (#4845 and #4632) will be stocked with limited-edition releases from Coolrain, The Loyal Subjects x Transformers, Kidrobot x Street Fighter, David Flores, Jesse Hernandez, and Martin Hsu. These exclusive collectibles will be featured alongside our other collaborations – including the BAIT x Spongebob footwear and apparel collection, BAIT x One Piece clothing line, BAIT x ASICS Rings Pack, BAIT x Domo apparel, and more. Hit the jump for details on each of our eight exclusive toys. Coolrain has designed a stunning piece for BAIT, fueled by the same originality and distinction that has made his work with Nike, the NBA, Converse, PUMA, and more so memorable. 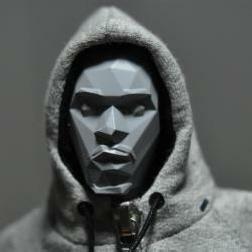 The Coolrain x Bubba Chuck “Trigonal Edition” is a 1/6 scale figure that is carefully hand-made by Coolrain himself. Limited to just 10 units, this amazing figure comes in a custom wood box and will retail for $920. Limit one per customer. The Loyal Subjects x Transformers Optimus Prime “Silver Bullet” is a stunning BAIT exclusive design, utilizing the huge new 8-inch Transformers vinyl figure for the first time. This exclusive features a special black paint job with silver bullet marks and scars over its body, plus Prime’s trusty ION blaster with similar battle damage. The “Silver Bullet” Optimus Prime is limited to 200 pieces, so you’ll want to rush to the BAIT booth early before we run out! Retail price is $110. Limit one per customer. A new entry to the Kidrobot x Street Figher mini-vinyl line will be unlocked at Comic-Con, exclusively at the BAIT booths. Shin Akuma – the truly evil form of the demonic karate master – will finally be available in stylized 3-inch vinyl form. The figure features white-hot hair, devilish red eyes, and a deep black gi. Like all Kidrobot x Street Fighter figures, Shin Akuma is articulated at the arms for fans to pose in their own fighting stances. 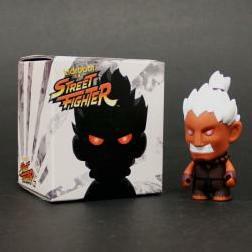 The vinyl is boxed in a special package, showing a silhouette of Shin Akuma with his eyes glowing. Limited to 3000 pieces worldwide, this BAIT exclusive will retail for $15. Limit two per customer. 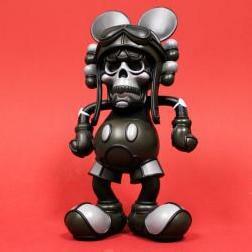 BAIT will be offering another exclusive release from renowned artist and muralist David Flores. The Deathshead 10-inch vinyl figure will be available in a BAIT-exclusive charcoal grey edition at Comic-Con. The figure is based on the art that Flores produced for the Hellfire Canyon Club, which recalls a certain cartoon icon mixed with the German Symbol of Death. This release follows up BAIT’s exclusive army green version of the figure, which was previously released earlier this year at WonderCon Anaheim. 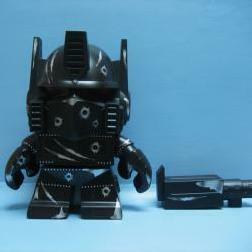 The “Charcoal Grey” Deathshead is limited to 50 pieces and will retail for $100. Limit one per customer. 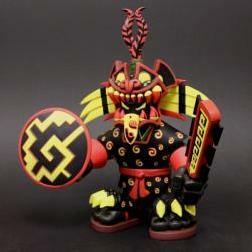 BAIT’s SDCC booths will feature two exclusive versions of the Jaguar Knight figure by artist Jesse Hernandez. The ancient Aztec warrior stands at nearly 12 inches tall with seven points of articulation, wielding its signature macuahuitl and shield in preparation for battle. The “Midnight Edition” is painted in a black, red, and yellow color scheme and is limited to 85 units. The “Jungle Edition” features a vibrant neon green paint job and is more limited – to just 35 pieces. Both will retail for $120, limit one per customer. 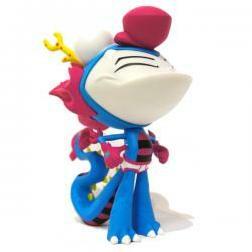 A pair of Martin Hsu’s designer vinyl collectibles will be hitting our SDCC booths in an exclusive colorway. Dragon Boy and his trusty companion, Blacky, will both be available in a BAIT-exclusive “Prism Edition.” Dragon Boy is inspired by Martin’s personal journey and aims to stand proud, fly high, and smile big just like its creator. Blacky is Martin’s newest vinyl design, making its first appearance at Comic-Con. Both are painted in a fresh blue and purple colorway exclusively for BAIT. The 10-inch Dragon Dog “Prism Edition” vinyl is limited to 88 pieces (only 24 of which will be available at our SDCC booth) at a retail of $100. The 4-inch Blacky “Prism Edition” vinyl is limited to 100 pieces at a retail of $25. Limit one of each per customer.